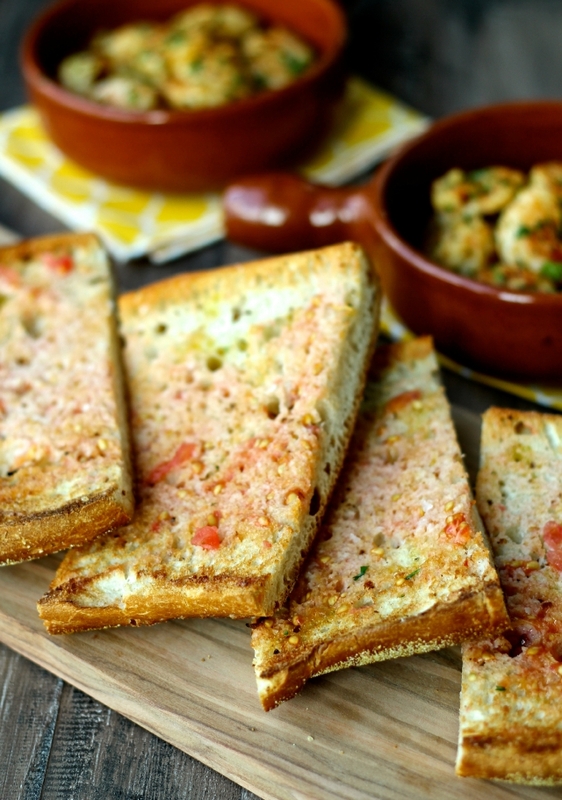 A delightful combination of toasted bread and fresh tomatoes, this easy recipe is one of the most widely eaten dishes in Spain. Sometimes the simplest dishes are the best. 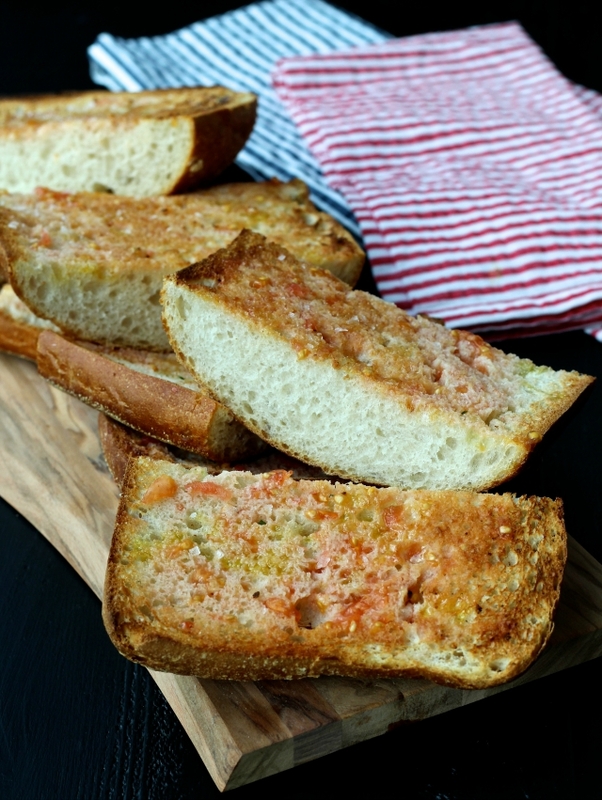 Originating in Catalonia, this tomato bread is one of the most common and well-loved dishes in Spain. You don’t even really need a recipe. 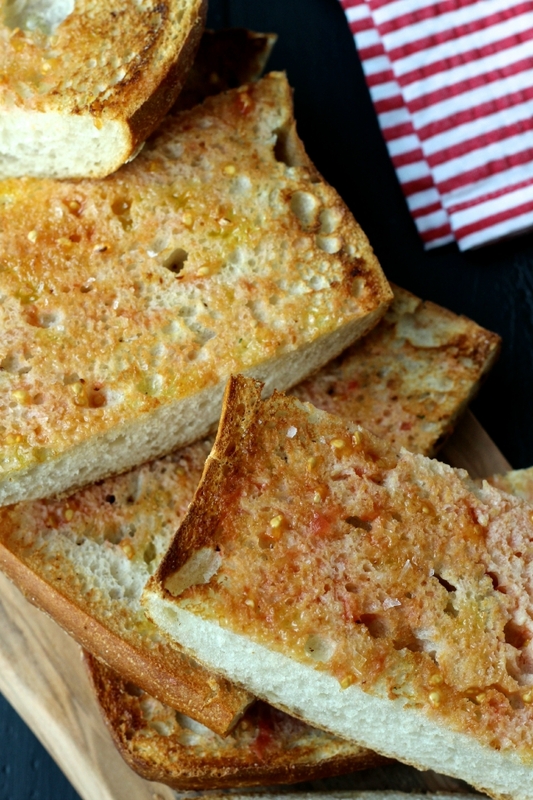 A fresh loaf of bread is toasted and rubbed with garlic and tomato to give it a light coating of tomato pulp. It’s then finished with a drizzle of olive oil and a sprinkling of sea salt. Serve Pan con Tomate alone or for a heartier dish, top it with some Serrano ham or Manchego cheese. My favorite way to eat it is with my Spanish Garlic Shrimp to soak up all of the delicious, garlicky sauce. Slice the loaf of bread in half horizontally. Grill the bread or place it under the broiler until golden brown. While the bread is still hot, rub the garlic all over the cut sides of the bread. 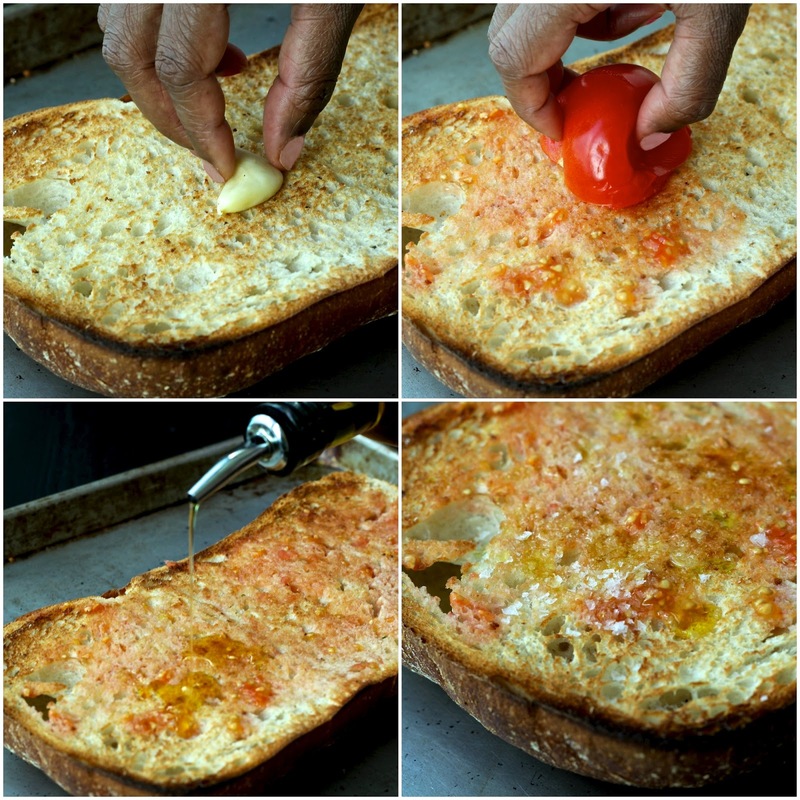 Cut the tomatoes in half and rub the tomato on the bread, coating it with the tomato pulp. Drizzle the olive oil on top and sprinkle with sea salt. Serve immediately while still warm. Serve alone or with Spanish Garlic Shrimp. Myyyy goodness, this looks magical, Sonali! <3 I can't wait to try making it! :] Love that it only takes 5 ingredients!! 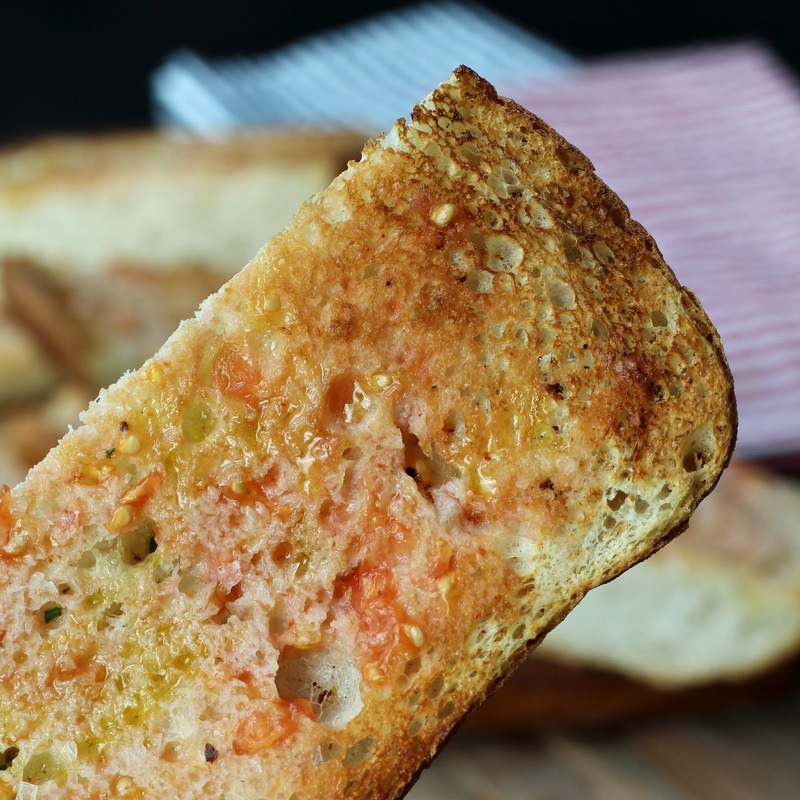 I've never ever had Pan con Tomate – why I don't know! I couldn't agree more – sometimes simple dishes are the best – just like this one – thanks so much Sonali! Oh how this brings back memories of my trip to Spain last summer! We had this at almost every restaurant we went to and you have recreated it perfectly! Okay….now I'm on a mission to bake a good gluten-free loaf! I need this! So simple and beautiful! My husband would LOVE this! wow wow wow this looks easy and delicious!!! All sorts of Italian flavor goodness. Thanks for sharing Sonali!